The USD got some support after its decline due to the BoJ announced only moderate stimulus measures on Friday. The support lies at 102.100 with resistance at 102.580 which both lines are below the weekly pivot point at 103.570. The EMA of 10 is moving with bearish bias and it is located below the EMA of 100. 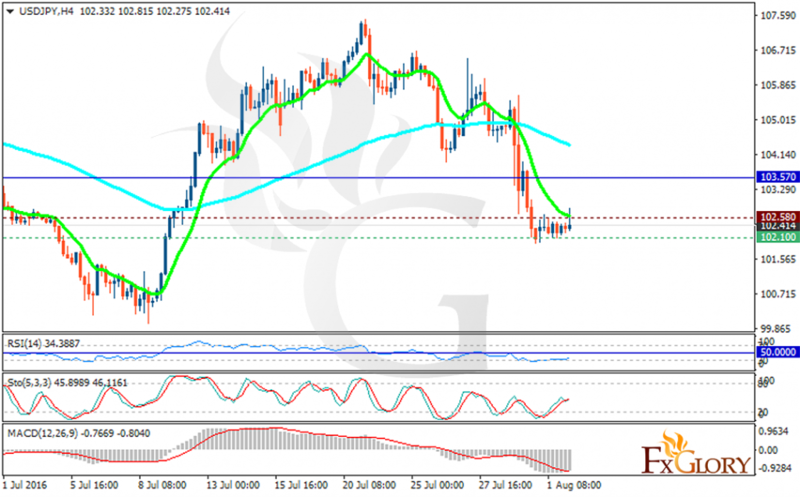 The RSI is located in oversold area, the MACD indicator is in negative territory and the Stochastic is in neutral bias. It’s time for USDJPY to reverse its decline and rise. The potential target is 103.50.